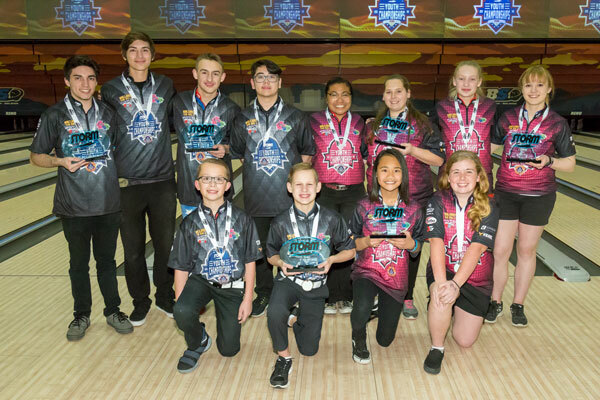 In less than two weeks, more than 200 youth bowlers will be heading to Las Vegas for the first Storm Youth Championships event of 2019! The Storm Youth Championships were created in in 2017 with two events in Reno and Myrtle Beach. These events were designed to be a weekend of learning, competition and fun for the whole family! After a successful first year, we added two additional events in 2018 visiting Nashville and Fort Worth. The SYC Tour will have a total of six events in 2019. 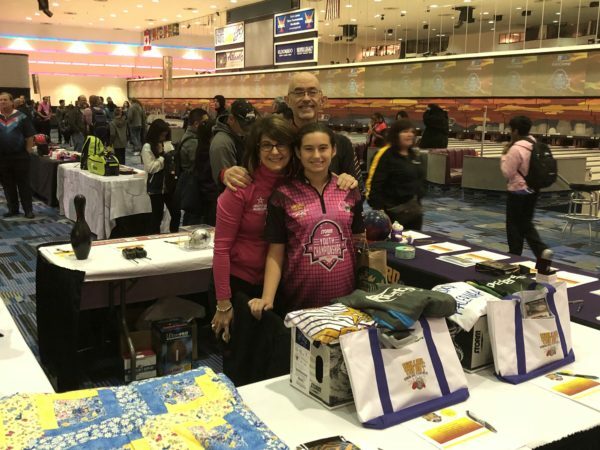 The SYC tournaments are small, three-day events where our Storm team works hard to interact with all of the youth bowlers and families. Each SYC tournament has multiple rounds on different lane patterns created by Kegel to challenge the youth bowlers. 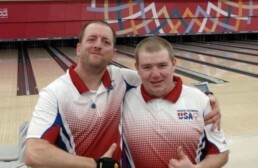 We crown the top three bowlers in each gender and age-based division for each round with bronze, silver and gold medals. At the conclusion of the tournament we award trophies and medals to the overall champions. 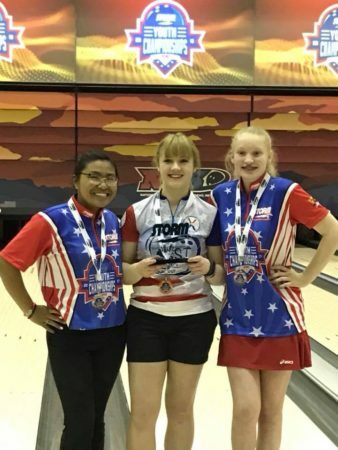 Each year, we hold our major event which this year will take place in Las Vegas where we award the top two overall youth bowlers in each division with a spot on the Storm All-American Team. These 12 kids earn a custom All-American jersey and jacket provided by our official SYC jersey company, Logo Infusion. The SYC is more than just tournament. 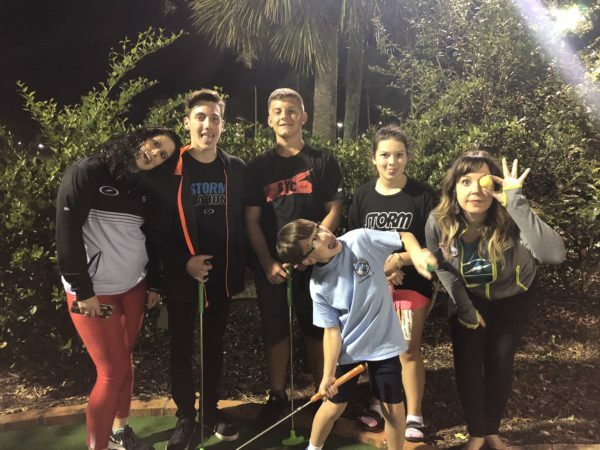 We kick off each event with registration, learning seminars with our Storm and Roto Grip Pro Staff, a practice session where bowlers can get tips from the pros and our Tour Reps, and a Friday night SYC social. 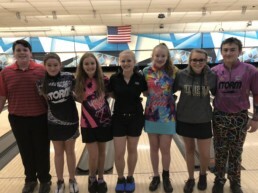 The SYC bowlers and their families have told us they love the casual atmosphere, getting to know the pros, and hanging out with the Storm Team. Charity is a very special part of the SYC. Each event supports Ballard vs the Big “C” in numerous ways. We take $10 from each entry and make a donation to BVBC. On-site at each SYC, Carolyn and Del Ballard bring silent auction items for the SYC families to bid on. Sometimes our families donate their own baskets to help raise more funds. Some of the bowlers have decided to host their own fundraisers at home for BVBC and bring their donations to present to the Ballards at the next SYC they attend. 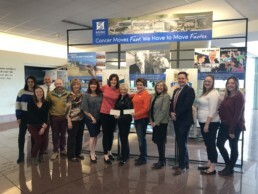 Since 2017, we have raised more than $50,000 to help fight the war on cancer through the SYC. 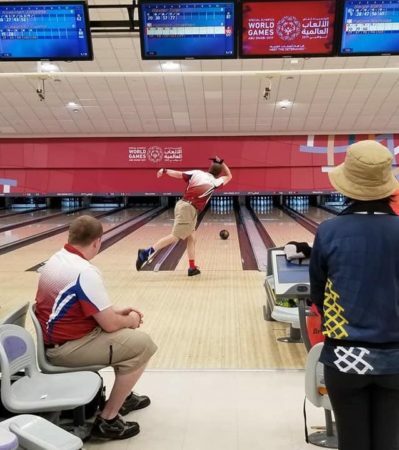 We are very proud to award scholarships to our top finishers and in just six events, we have awarded more than $104,000 to the SYC bowlers and look forward to increasing that number in 2019. The vision for the SYC began as a way to give back to the bowling community, educate youth bowlers, and invite the whole family to participate. Our events wouldn’t be possible without the support of the staff of each host bowling center and the families in each community that we have visited. This tournament would not be possible without the generous support of our additional sponsors, Logo Infusion, Turbo 2-N-1 Grips, Kegel, 3G Shoes. To follow along with the SYC updates and excitement, please check out the Storm Jr Facebook page. If you are interested in becoming a supporting sponsor of the Storm Youth Championships or would like more information, please visit the SYC page or email Leanne Hulsenberg at Leanne.Hulsenberg@stormbowling.com. 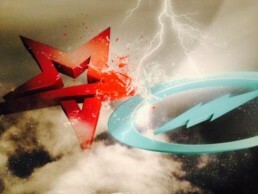 Last April, Storm laid to rest someone who was very important to the brand we all know and love. Scott Knavel never won a PBA event, has never been in a video or an ad. But he was more than integral to the manufacturing of millions of balls that countless bowlers have come to enjoy. Scott had worked in every facet of production from coring to urethane, R&D to bottling, and all the way up to Assistant Production Manager in his 15 years at Storm. His role was vital. Scott led the effort in saving the life of a worker who had collapsed by performing CPR. He was a shepherd for the production team’s immense band of brothers and sisters. The mosaic the production team at Storm weaves is a sumptuous one – a working rapport of many divisions that are as equal as they are diverse. Scott was a leading light for the Storm family whose integrity and steadfastness will remain a beacon of virtue for years to come. On that fateful Easter Sunday, Storm lost a vital piece to that team. The following week, Shane Blakeley, Storm’s Plant Manager, was having breakfast with a friend of the company, Jack Andersen, and the two agreed that Scott’s story wasn’t quite finished. 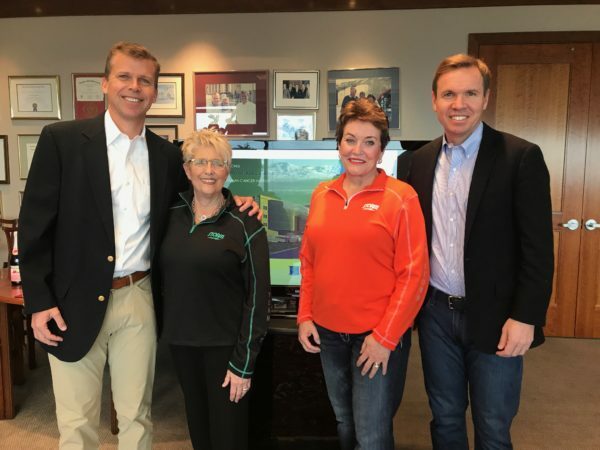 With some careful planning, the “Ride for a Reason” tour was born. Beginning in Ogden, Utah, Andersen with 4 of his riding companions began their 300 mile trek to Challis, Idaho to honor the memory of Scott. 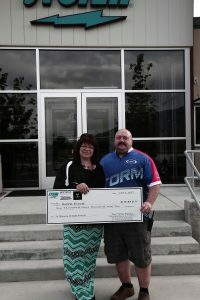 Scott’s wife, NaCoal, was invited to the Storm plant as the team passed through Brigham City on their expedition north. What she wasn’t aware of was the $6,910 check about to be presented to her for aid with Scott’s final expenses. An initial goal of $2,500 was set, but in typical Storm fashion that target was exceeded with flying colors. Thanks to the help of company suppliers, sponsors, and fellow employees NaCoal can rest a little easier with some of this austere burden lifted off her shoulders. The cycling team plans to hit all the best fast food stops along the way on their 3 day campaign. “Thank you so much for your generosity and the compassion that was shown. The outpouring has been overwhelming,” said Blakeley. It’s been an emotional journey for all involved. 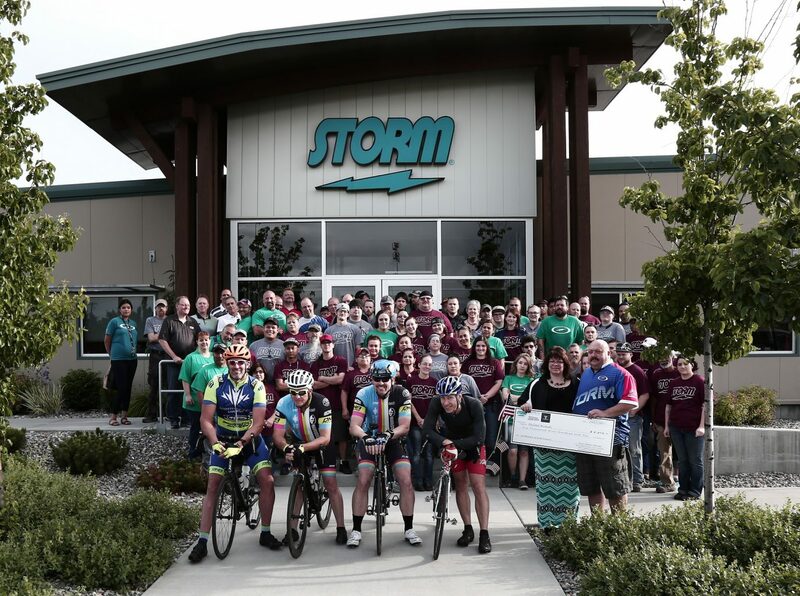 There have been hundreds of employees that have contributed to the Storm brand over the years, but the vast majority looked to Scott for guidance every day.